With roots on the ranch, Wrangler continues to lead when it comes to innovation in workwear. And when it comes to safety, comfort, and durability these Wrangler Riggs Men's Denim FR3W020 FR Flame Resistant Carpenter Jeans provide excellent flame-resistant protectio ... (see full details) (see specifications) #WRGFR3W020. With roots on the ranch, Wrangler continues to lead when it comes to innovation in workwear. And when it comes to safety, comfort, and durability these Wrangler Riggs Men's Denim FR3W020 FR Flame Resistant Carpenter Jeans provide excellent flame-resistant protection and job site performance. Made with14.5-ounce heavyweight 100% cotton denim, these flame-resistant pants meet NFPA 2112 requirements and NFPA 70E, ASTM 1506 and OSHA Rule 1910.269 standards. They rated HRC2, ATPV 23.7 CAL/CM2. They're made using triple-needle stitching with Nomex (FR) thread used in all the garment seams, along with an arc-resistant button waistband, a high-quality brass zipper with Nomex (FR) zipper tape, and flame-resistant pocketing. They're built for work with a high rise, a Room2move® fit, an action gusset, and an improved relaxed fit in the seat, thigh, knee. The bottom leg openings are made to fit over your boots. These carpenter style jeans feature a hammer loop and plenty of pockets, including reinforced back pockets, so you have plenty of spots to carry your gear. Count on these men's durable pants when you want maximum comfort and wearability, plus flame-resistant protection. Orange Safety Outside ID helps provide high visibility. 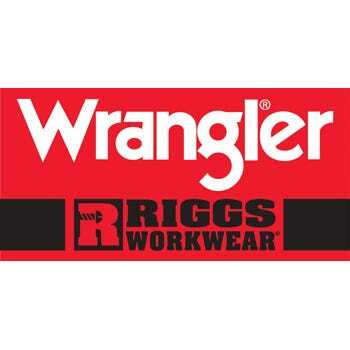 You'll find these Wrangler Riggs Men's Denim FR3W020 FR Flame Resistant Carpenter Jeans just right for whenever you want pants that are sturdy and comfortable with the added protection of flame resistance. Order yours right now from the workwear experts at Working Person Store! I have searched the internet for every type od FR jeans ever made. I recommend these for extra moving around with a extra crotch room, due to climbing poles and bending are the purpose for me to buy these here on out. I highly recommend these brand jeans to anyone that require FR to work. I love the way they fit and wash after wearing. Notice the extra gusset on the crotch area. Makes it easier to move around when I'm welding. These are really flame resistant jeans. I've tested them out. I have a stocky build. I have a hard time finding jeans that fit just right. These jeans fit very well. They are comfortable and durable. I highly recommend them. My husband appreciates the extra room in the seat area. He also likes that the jeans are flame resistant, as his job at the foundry is around open fire sometimes if the machine goes down. Working around molten metals I know from experience that having flame resistant pants on is much safer. These have a nice fit. Wrangler Riggs Jeans: Men's Denim FR3W020 FR Flame Resistant Carpenter Jeans is being added to your cart.